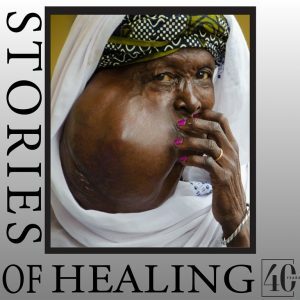 Where Hasanatu comes from, the question is not what caused her tumour, but rather, who caused it? Here, suspicion, distrust and fear are the constant companions of those suffering from disfiguring disease.Was she cursed? 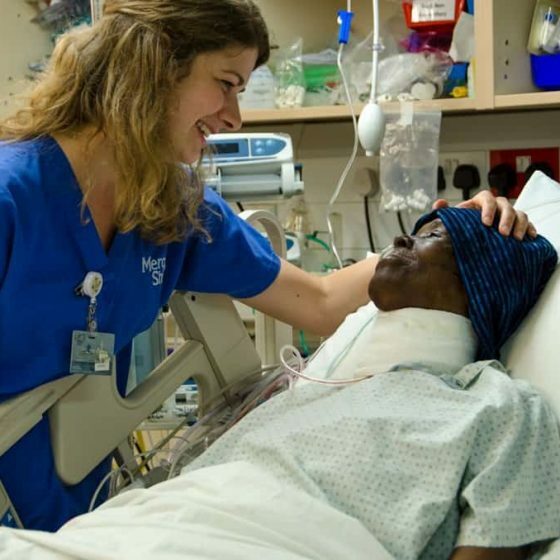 Long-time crew member Susan Parker shares her journey with Hasanatu, who became affectionately known in the wards as Mama H.
‘Meet Hasanatu from the hinterlands of Guinea. I first saw her a few weeks ago in our maxillofacial ward. I was there to visit a patient in an adjacent bed, but couldn’t help noticing those beautifully painted pink nails! 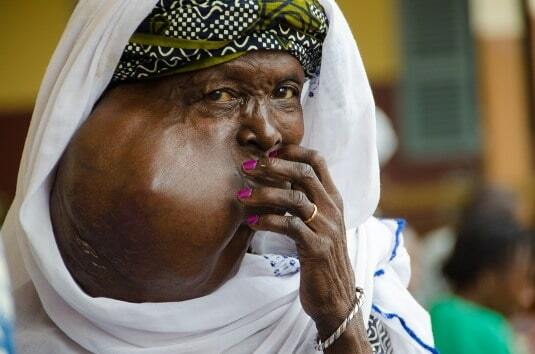 ‘You might be wondering what causes a giant tumour such as this? 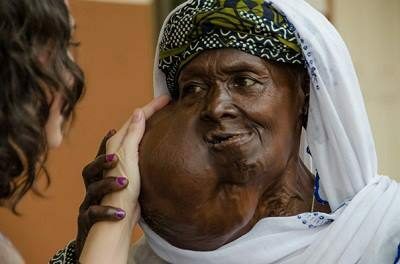 But where Hasanatu comes from, the question is not what caused her tumour, but rather, who caused it? Here, suspicion, distrust and fear are the constant companions of those suffering from disfiguring disease. Was she cursed? Were the ancestors unhappy with her behaviour? What terrible act did she commit to bring such a thing about? Over time, as the tumour grew, Hasanatu felt herself pushed further and further towards the fringes of her community, until one day it seemed as if she were no longer human. Which brings me back to the pink painted nails. 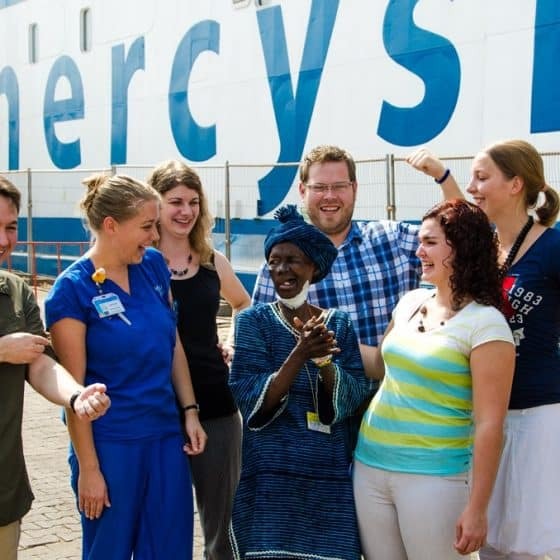 Hasanatu spent a couple of days, prior to being admitted, at our HOPE* Centre about a mile down the road from the ship. The HOPE Centre is something like a youth hostel for our patients who come from outside the capital city of Conakry, where we’re docked. 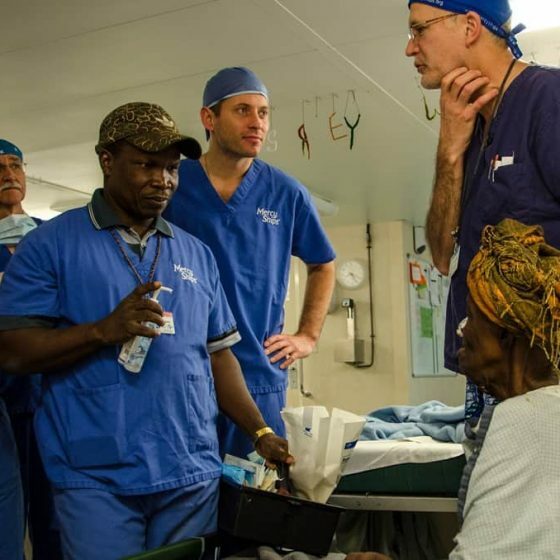 The HOPE Centre was renovated and is staffed by our crew — so that patients who arrive early for surgery, or need to stay postoperatively for physiotherapy or further healing will have a safe and clean environment in which to wait. It seems that one of our crew members at the HOPE Centre painted Hasanatu’s nails bright pink while she waited for her surgical date. Someone thought she was in need of a little nail polish. Someone thought she was worth it. What difference does it make? Ask Hasanatu.